Join us for this Community Screening fullly funded by our £eith Decides award. 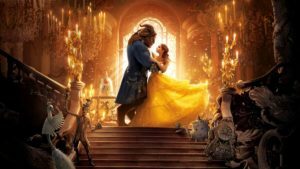 We are delighted to be screening the latest version of Beauty and the Beast. The childrens crafting table, our book lending library and DVD lending library will be open from 1.30pm and there will be an interval as the film is over 2 hours long. Our Community Cafe will also be open from 1.30pm serving fresh coffee/tea and home baking, soft drinks and snacks. There will be free refreshemtns and snacks for the children. The film commences at 2pm.